Community Blog by Brian Keljore // Large Hadron Collider renamed, I /facepalm. 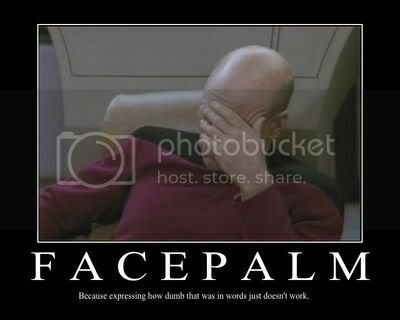 Large Hadron Collider renamed, I /facepalm. Aaron Borges of Rhode Island is the winner of the contest to rename the collider with the name of Halo. Everyone, do it with me now. I am me. I grew up gaming and now am pretty much stuck with it. Graduated with a B.S. in Computer Science. Looking for a job. I am hoping to one day break into the gaming industry and leave my mark upon it. I also tend to have insomnia and will end up ranting with various degrees of clarity. Feel free to give me a shout if you are bored. Just let me know who you are first.